and Baby Massage classes at the Selkie Pilates Studio. Chloe is amazing! And I’m sure I’m not the only person who thinks so. I first met Chloe when I was pregnant and looking for an exercise class that could help with my back and hip problems. I was suffering from hyper-mobility in my hips and as my bump grew I was becoming less and less mobile. I was so glad I found Chloe. She has so much training and knowledge behind her she was able to help keep me mobile and keep the pain at bay. Before qualifying as a Pilates instructor Chloe was a Midwife. So not only does she posses a wealth of knowledge about childbirth and pregnancy she is also incredibly knowledgeable about how your body changes throughout pregnancy and how this impacts on your musculoskeletal structure. Any ache or pain I had Chloe could educate me on what was causing it and give me exercises to relieve it. She also knew specifically about my back and hip issues and tailored her class instructions to ensure my pain was not made worse at all and included exercises that always meant I left her class feeling lighter and more mobile than when I arrived. After giving birth I signed up for the Baby & Me classes as soon as my GP had signed me off at my 6 week check appointment. 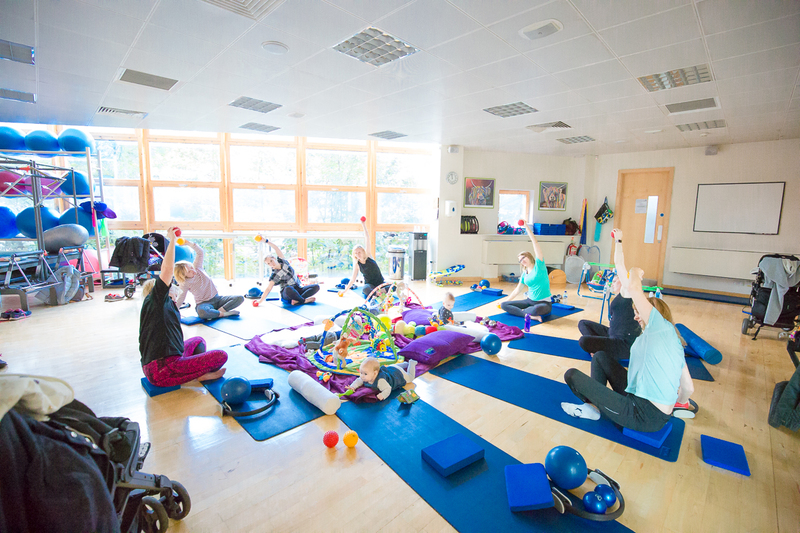 The classes were a brilliant way to get out of the house and meet new mum’s and get some exercise without needing to worry about finding someone to look after your little one. There are chairs set up for feeding and a changing station. Mums can see to their babies at anytime throughout the class. What’s more we usually all went out for a coffee and a bite to eat after the class too which was a great way to stay social and compare baby stories with other new mums. A 6 week course to prepare you and your body for pregnancy and delivery focusing on strengthening your body as it goes through the significant changes in preparation for your baby’s birth. You will learn safe and effective exercises specific for your stage in pregnancy as well as all important relaxation techniques. Classes can begin at 12 weeks + and 6 weeks post-natally with your midwife’s/GP’s sign-off. Once you’ve passed your 6 week checks with your GP you can book onto Chloe’s amazing Baby & Me Pilates Course. This is an amazing way to get out of the house and socialise with other new mums whilst being able to take your baby along with you. Chloe sets up an amazing play gym area in the centre of the room and mums can relax and rejuvenate their bodies whilst keeping baby in sight. Fridays 1:30-2:30, October 28th, November 4th, November 11th, and November 18th. Fridays 1:30-2:30, November 25th, December 2nd, December 9th, and December 16th. Check out Chloe’s Website for new dates as they become available. Selkie Pilates & Fitness is on the 1st floor at the Ebbisham Centre in Epsom.